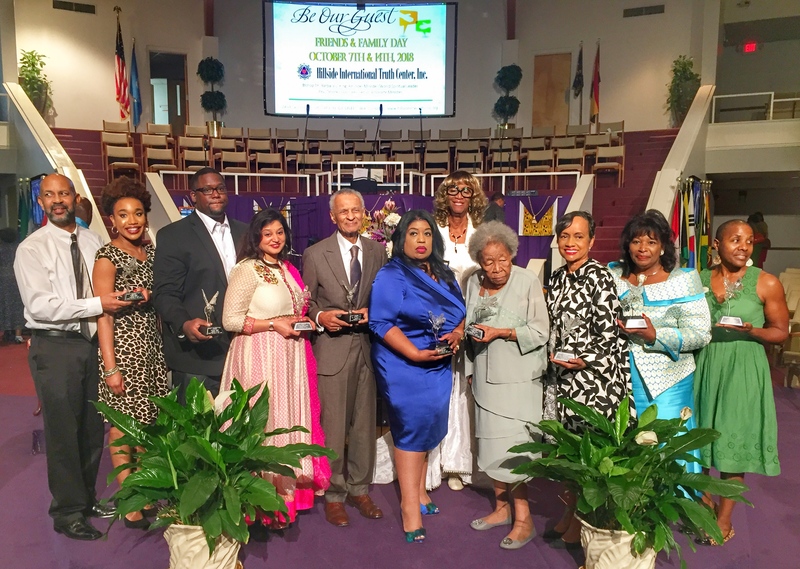 Atlanta, GA, November 9, 2018: Mona Shah Joshi was awarded the Barbara Lewis King Butterfly Award as a spiritual leader in the Atlanta community at a ceremony at Hillside International Truth Center in Atlanta,GA. Mona has been a senior teacher with the Art of Living Foundation (AOLF) since 1992. Operating in 154 countries, AOLF is a non-profit, educational and humanitarian organization founded in 1981 by the world-renowned humanitarian and spiritual teacher Sri Sri Ravi Shankar. Inspired by Sri Sri Ravi Shankar’s vision that a stress-free, violence free society can be achieved through the reawakening of human values, Mona works tirelessly to help people find happiness through breathing techniques, meditation and yoga. She has taught everyone from inner city youth to CEOs through a variety of programs that include youth programs, corporate workshops, advanced meditation programs and silent retreats. Mona brings together ancient Vedic philosophy and contemporary pop culture for talks that are highly engaging and transformational. She has addressed numerous conferences including Bank of America’s LEAD Symposium for Women, CoHesion Summit, Georgia Psychologists Association, and American Bar Foundation. Last year, she gave a TEDx talk on the 5 Secrets of Abundance. This year, she serves on the Spiritual Council of Spiritual Living Center of Atlanta where she speaks about self-development. In addition to writing popular articles for Huff Post, Spirituality and Health, Fulfillment Daily, and BOLD magazines, Mona is a frequent guest on radio, television and podcasts. In honor of her service, Mona was inducted in Morehouse College’s Martin Luther King Chapel Collegium in 2010 and received the BOLD Award for Spirituality in 2015. Bishop Dr. Barbara Lewis King, Founder and Spiritual Leader of Hillside International Truth Center in Atlanta,GA, created the Butterfly Award in order to honor community luminaries with an exemplary commitment to service. She founded her church 47 years ago at a time in which women ministers were rare. She now has 30 ministries and auxiliaries, and outreach ministries in South Africa, Brazil and Ghana. The 2018 Butterfly Award also honored leaders such as Civil Rights Legend, Rev. Dr. C. T. Vivian, Black Panther actress Dorothy Steel, Emmy-nominated Judge Glenda Hatchett, and President/CEO of Phoenix Global Corporation Alicia Ivey among others.